From public life to getting visas prepared, learn more here. This is one of the most important decisions when you move to Shanghai, get an overview here. Shanghai has an abundance of activities for families and young children. Now you have settled into Shanghai, its time to explore its rich history and culture. Shanghai has a sound telecommunications infrastructure with fast internet. Telephone lines are reliable and international dialling is simple to arrange. You can save money by using the Shanghai Telecom Yitong stored value card to make international calls. These can be purchased at the post office and most convenience stores. On the whole, however, it is much cheaper to make international calls with your computer, using an Internet calling service such as Skype. The mobile phone market in Shanghai is thriving. It seems that almost everybody from ages 8 to 80 has a mobile phone. They buzz, sing and ring constantly wherever you are in the city – a testament to a clear, functioning network and affordable pay-as-you-go calls. 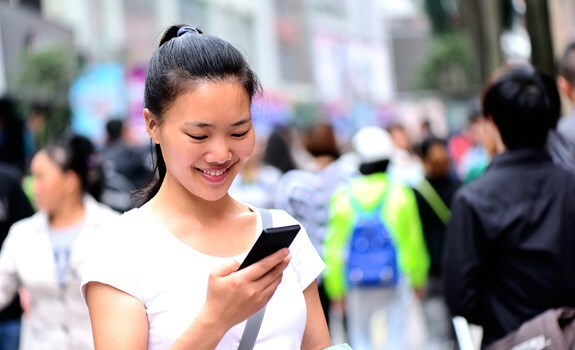 Most mobile phones that are supported by GSM (Global System for Mobile Communications) work throughout China, and you might find that Chinese SIM cards will work in your phone. However, if you are moving to Shanghai, it is far more affordable to pick up a local plan as soon as you move here. China Mobile, the nation’s biggest telecommunication service provider, usually recognises two dual frequencies – 900 Hz and 1,800 Hz. Network coverage across China is excellent. If you didn’t bring a compatible phone, a pay-as-you-go mobile phone can be purchased for RMB 600-700 plus the cost of a SIM card. Calling and text-messaging other mobile phones is cheap. You can find RMB 100 stored value cards for mobile phones in most convenience stores. The instructions for loading the stored value onto your phone are available in English. Top-up machines are also to be found at both convenience stores and China Mobile offices. Shanghai City now has 4G connection, and reliable 3G is available accross most of the country (even in remote areas). Routers are readily available for about 200-300RMB for a basic home model. The most popular is the TP-Link brand. Call China Telecom (10000) and arrange for them to set up a wireless connection in your home. In the meantime, the number of places throughout the city that offer free Wi-Fi is growing exponentially. It’s nearly a sure thing in cafés in Puxi and Pudong, but be sure to ask before paying 30RMB for a coffee. Public Wi-Fi zones are also to be found throughout the city. China Post post offices are found throughout Shanghai. They are open six days a week (closed Sunday) and services vary depending on the size of the branch. Smaller centres only handle posting letters, selling stamps and paying bills, while larger branches change money and handle international express mail and Western Union. Most postal workers do not speak English. Airmail letters and postcards normally take two to three days to domestic cities, about 10 days to Europe and two weeks to North America. If you need to send a package overseas, bring the contents unwrapped to the post office, as postal officers will want to assess their value, which cannot exceed RMB 1,500. Becoming familiar with local print media is a good way to get into the Shanghai groove. As the most international of China’s cities, Shanghai has a multitude of free English-language magazines and newspapers. The locally produced Shanghai Daily and Beijing-printed China Daily are the most read. Take into account that newspaper editorial content is scrutinised by the government, necessitating self-censorship. The most popular magazines are City Weekend, That’s Shanghai and Time Out Shanghai. City Weekend is a bi-weekly focusing on food, fashion and culture, listing Shanghai’s hottest events. That’s Shanghai is an excellent monthly that takes an in-depth literary view with analysis of culture and expat life in Shanghai. It is also a good resource for event listings. Time Out Shanghai, part of the international franchise, provides an interesting mix of art and literature as well as restaurant and event listings. It is also a good resource for event listings. Other magazines include Shanghai Family, Time Out Shanghai Family, Urban Family and City Weekend Parents and Kids, especially geared towards expat families, as well as a host of business periodicals. The Shanghai City Guide is updated frequently with information on relocating to Shanghai.